Just wanted to let you know how much we're enjoying our Lexis. 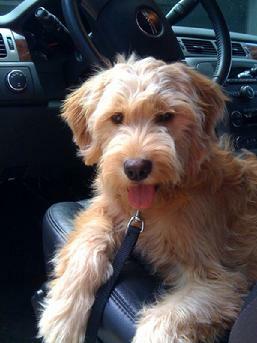 I can't begin to say enough good things about our doodle, other than I think everybody should have one! In such a short time, Lexi has become such a big part of our lives. We can't imagine life without her. We just love her to pieces. She is just like one real live, soft ,cuddly, teddy bear; everything we wanted in a dog. 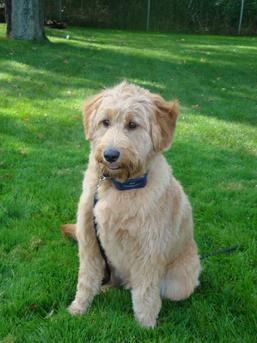 They are one of the most fun, loving, smart & attentive dogs that we've ever had. They truly are a people's dog, love being wherever you are, always at your side. She listens well, learns fast & the best part...minimal shedding. We want to thank you, Christy for such a beautiful dog. You have always been there to answer our questions we had and a great pleasure to work with. 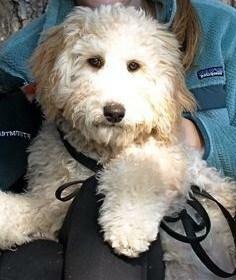 I would highly recommend you to anyone interested in a goldendoodle. Cody is such a smart and sweet dog. He is really calm and training has been easy...learns fast! It was a pleasure working with Christy and her family. She is very honest and trustworthy. If you are thinking of looking for a dog, look no further! Bear has been an amazing addition to our family. He is extremely smart and very loving. His coat's color and texture are beautiful. He is a beautiful apricot and his fur is very silky. 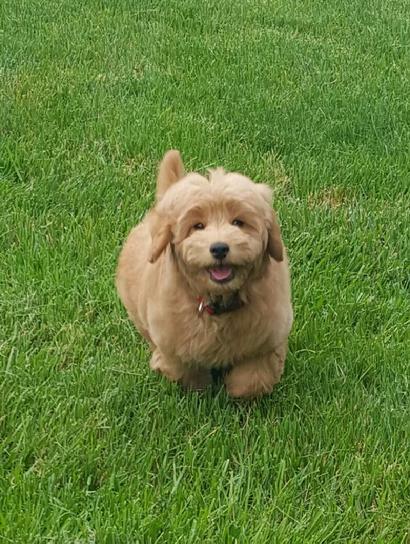 We live in New York and had to rely on Christy to help pick out our puppy and cannot say enough how helpful and understanding she was. She made the whole process easy and painless. We ended up with a wonderful dog. There is a groomer that works out of the vet's office and we met her today. She noticed his collar and said she has 2 clients that came from Winding Creek Ranch and that they both have the best personalities. Thank you again for agreeing to keep Louie for puppy pre-school. We feel very blessed to have such a wonderful addition to our family! Hermione is doing great. 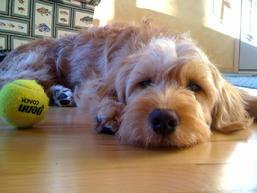 She loves to play fetch with her tennis ball, loves snuggling and puppy kisses. We adore her! We named our little guy, Harley. He is great. We went to South Carolina for Christmas. It was actually the 2nd trip we've made and Harley did great both times. He is a very good traveler (12 hours each way)!! We really had fun at the beach. He loved chasing after a ball, on the beach, and playing with the other dogs.